What’s the Stem Cells Buzz this Week? - MSC Stemness, MSCs in Osteoarthritis, Diaphragmatic Muscle Constructs, and Shh Distribution! April 15,2019 What’s the Stem Cells Buzz this Week? - hCPC Releases EVs, Bone Marrow Nestin-expressing Cells, CRISPR Screen in Cardiac Fibroblasts, and Melanoma Initiating Cell Plasticity! Recent research from the lab of Reem Al‐Daccak (Hôpital Saint Louis, Paris, France) established that paracrine acting factors released from allogeneic human cardiac stem/progenitor cells (hCPC) positively impacted cardiac repair/regeneration post-myocardial infarction (MI). Now the team returns with a STEM CELLS Translational Medicine article that now reports proof‐of‐concept for the active contribution of extracellular vesicles. Hocine et al. suggest that the application of allogeneic hCPCs followed by extracellular vesicles will not only elicit the cell‐contact mediated reparative/regenerative immune response but also provide the desired long‐lasting effects. To better understand the role of Notch signaling from the Nestin‐expressing mesenchymal stromal cells (MSCs) that comprise the hematopoietic stem cell niche in myeloproliferative phenotypes, researchers led by Shigeru Chiba (University of Tsukuba, Ibaraki, Japan) engineered labeled MSCs with conditional disruption of Notch signaling. Sakamoto et al. observed impaired erythroid differentiation in the bone marrow thanks to the upregulation of Interleukin-6 in macrophages. 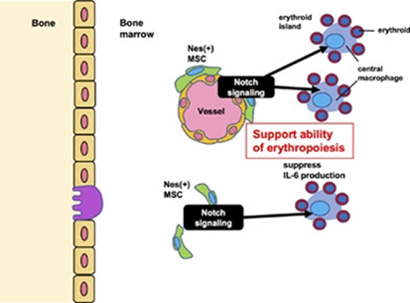 Therefore, this STEM CELLS study suggests that the interaction between macrophages and Nestin‐expressing MSCs regulates erythropoiesis in the bone marrow. 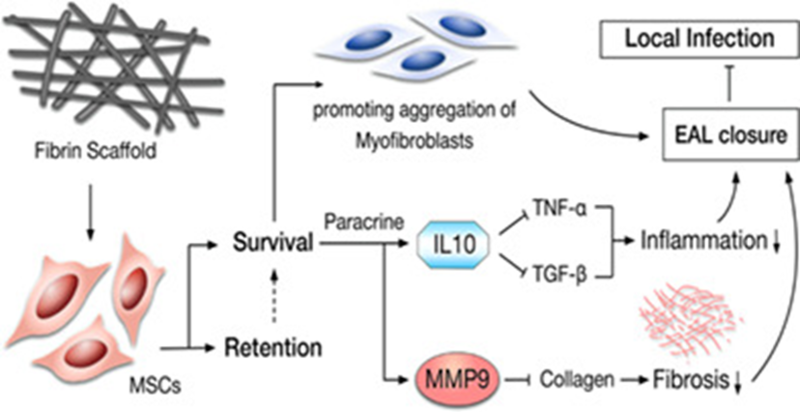 The direct in vivo reprogramming of cardiac fibroblasts into myocytes is an attractive therapeutic intervention in resolving myogenic deterioration, although the currently employed strategies suffer from several problems. To circumvent said problems, researchers from the lab of Kosuke Yusa (Wellcome Sanger Institute, UK) employed a genome‐wide knockout screen with a CRISPR‐gRNA library to identify novel mediators that regulate the chemical reprogramming of cardiac fibroblasts into progenitors that can differentiate into endothelial cells and cardiomyocytes. Overall, Yu et al. establish DNA methyltransferase 1‐associated protein 1 (Dmap1) as a modulator of cardiac reprogramming and myocytic induction in their exciting STEM CELLS article. Researchers led by Zhao‐Jun Liu (University of Miami, Florida, USA) recently sought to uncover the molecular mechanisms that determine how cancer‐associated fibroblasts (CAFs) modulate the plasticity of cancer stem cells (CSCs). Du et al. established that Notch1 signaling from CAFs inversely controls the stromal regulation of the plasticity/stemness of melanoma-initiating cells, thereby modulating melanoma heterogeneity and aggressiveness. 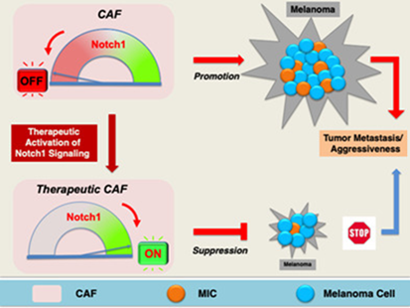 The authors of this recent STEM CELLS report believe that targeting the intracellular Notch1 signaling pathway in CAFs may present a new therapeutic strategy for melanoma. April 8,2019 What’s the Stem Cells Buzz this Week? - Bioconjugated Carbon Dots, Glioblastoma Stem-Like Cell Fate, Tissue-engineered Vascular Grafts, and MSC Transcriptome Evolution! 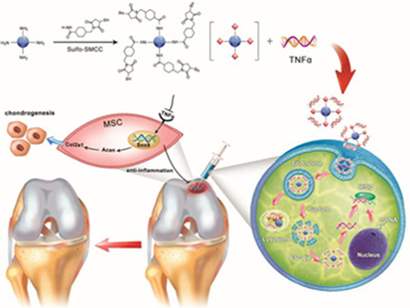 Mesenchymal stem cell (MSC)‐based therapy of cartilage defects can be hindered by tumor necrosis factor α (TNFα) mediated chronic inflammation. In the hope of mitigating this inflammation, researchers headed by Maolin He, Jinmin Zhao, and Li Zheng (Guangxi Medical University, Nanning, People's Republic of China) sought to introduce small interfering RNA against TNFα via a bioconjugated carbon dot nanovector. Encouragingly, Liu et al. discovered in their STEM CELLS Translational Medicine article that their approach markedly promoted the chondrogenesis of MSCs and could facilitate stem cell‐based therapy of cartilage defects. Previous studies from the research team of Aurélie Tchoghandjian (Aix-Marseille Université, France) discovered that the inhibition of apoptosis inhibitor proteins induced a loss of stemness and differentiation of glioblastoma stem cell differentiation by activating nuclear factor‐κB under normoxic conditions. Now, Soubéran et al. report that inhibition of apoptosis inhibitor proteins under hypoxia to decreased glioblastoma stem cell viability by reducing cell proliferation and increasing apoptosis through ATR and TNFα pathways. The authors hope that their findings will provide new insights into the dual mechanism of action of apoptosis inhibitor protein inhibitors that depends on oxygen levels, with relevance to their therapeutic application in tumors. For all the details, head over to STEM CELLS now. 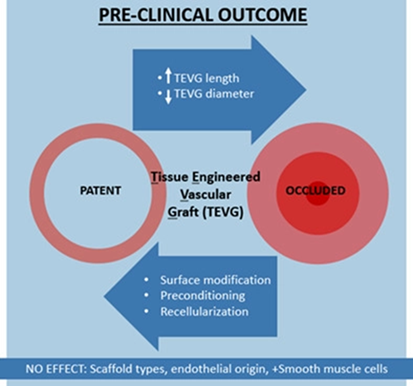 Tissue‐engineered vascular grafts (TEVG) represent a treatment option for patients requiring small-diameter autologous vessels for bypass operations. Now, a team led by Ditte Caroline Andersen (Odense University Hospital/University of Southern Denmark, Denmark) undertook a systematic overview and meta‐analysis of related clinically relevant studies. Overall, Skovrind et al. report that future studies should consider a TEVG design that includes endothelial recellularization and bioreactor preconditioning, and suggest that more standard guidelines for testing and reporting TEVGs in large animals should be considered to enable interstudy comparisons and favor a robust and reproducible outcome as well as clinical translation. For all the details, see STEM CELLS Translational Medicine. 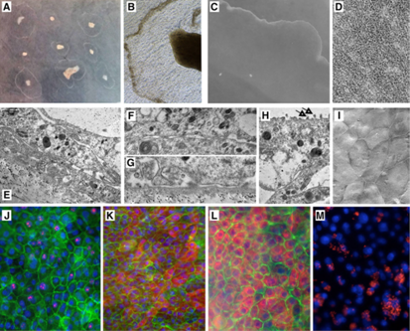 The widespread clinical application of mesenchymal stem cells (MSCs) as a therapeutic approach for a range of conditions entails extended in vitro culture and expansion; however, is there a replicative limit to their utility? 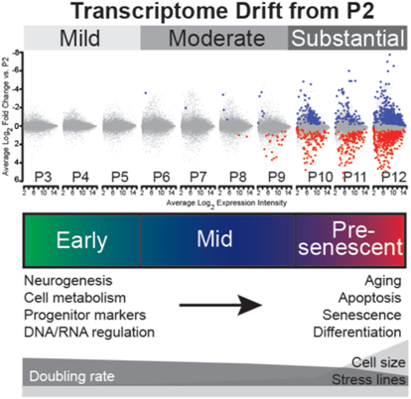 To answer this, researchers headed by Lorena R. Braid (Aurora BioSolutions Inc., Alberta, Canada) assessed transcriptome evolution during MSC expansion, discovering that early-to-mid passage human umbilical cord‐derived MSCs display minimal transcriptome drift and, therefore, this window represents the optimal time to generate consistent MSC batches for therapeutic applications. After this stage, MSCs accumulate elevated transcriptome variation before signs of replicative exhaustion. For all the small print, make your way to STEM CELLS Translational Medicine now! April 4,2019 What’s the Stem Cells Buzz this Week? - Age-dependent MSC Effects, Retinal Organoid Differentiation, Reviewing Cardiac Fibrosis, and Primitive Endoderm Survival! 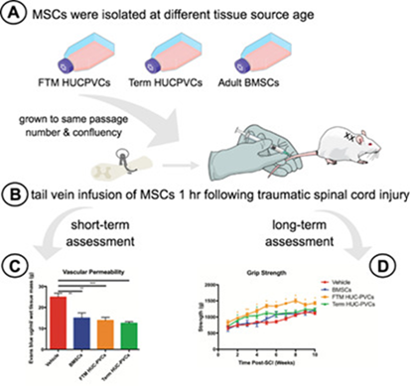 As mesenchymal stem cells (MSCs) represent an ideal candidate for the treatment of traumatic spinal cord injury (SCI), researchers from the lab of Michael G. Fehlings (University Health Network, Toronto, Ontario, Canada) compared MSCs derived from term‐birth human umbilical cord, first‐trimester human umbilical cord, and adult bone marrow. In their STEM CELLS Translational Medicine article, Vawda et al. discovered that the younger umbilical cord-derived MSCs promoted selective long‐term functional recovery alongside histological improvements in a clinically relevant model of cervical SCI when compared to the less-effective older cells. As current retinal induction protocols remain variable in their efficiency and do not routinely produce morphologically or functionally mature photoreceptors, researchers from the lab of Majlinda Lako (Newcastle University, Newcastle, UK) sought to determine the impact of embryoid body (EB) formation and maintenance methods as well as pluripotent stem cell line background. Reporting in STEM CELLS Translational Medicine, Mellough et al. 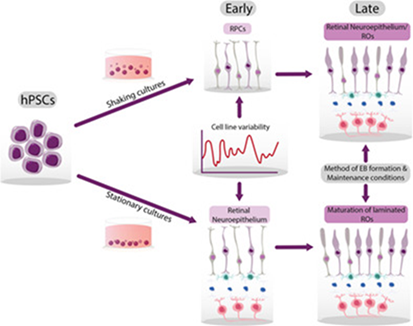 demonstrate that cell line‐specific differences dominate the variables that underline the early stages of retinal organoid differentiation efficiency, while, the EB generation method and maintenance conditions determine the later differentiation and maturation of retinal organoids. 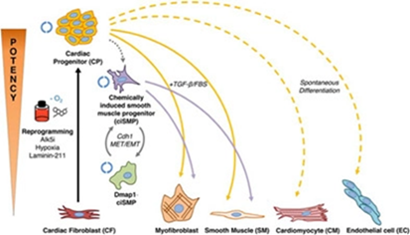 A STEM CELLS review from the laboratory of Yigang Wang (University of Cincinnati, Ohio, USA) focuses on interactions between implanted stem cells and fibroblasts after myocardial infarction (MI). A deeper understanding of the process of cardiac scarring in a patient's infarcted heart may facilitate the design and timing selection of cell implantation in clinics. Liang et al. discuss the potential effects of fibroblasts and collagen matrix remodeling on stem cells and propose a combination of anti‐fibrotic strategies and stem cell‐based therapies for the treatment of MI. 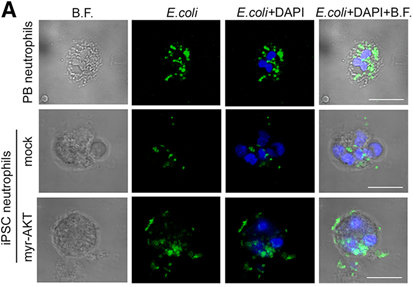 The authors hope that their review will aid the identification of new targets that can optimize the host substrate environment to facilitate cell engraftment and functional integration. 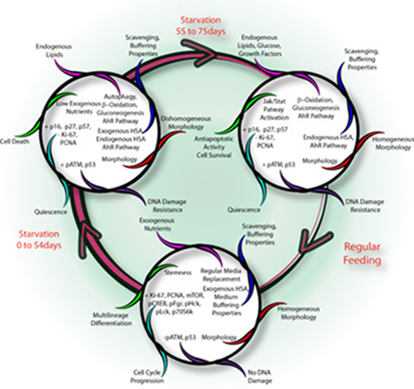 Segregation between embryonic and extra‐embryonic lineages occurs at the beginning of mammalian development and requires multiple processes participating in the acquisition and the maintenance of cell identities. In their recent STEM CELLS article, researchers from the labs of Jérôme Artus and Michel Cohen‐Tannoudji (Institut Pasteur, Paris, France) characterized the intracellular factors involved in the survival of the epiblast, that will form the embryo proper, and the primitive endoderm, an extraembryonic lineage participating to the formation of the yolk sac, just after their formation. Bessonnard et al. 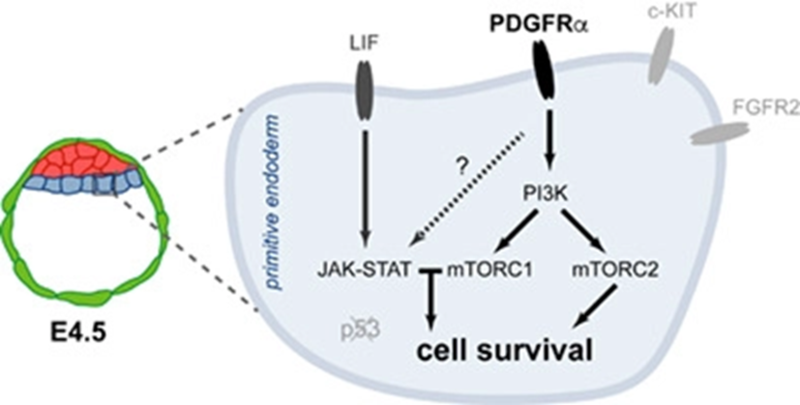 suggest an essential role for platelet-derived growth factor (PDGF) signaling in primitive endoderm survival mediated through PI3K‐mTOR and independently from p53. April 1,2019 What’s the Stem Cells Buzz this Week? - Chromosome Transplantation, Anti-Osteoporosis Effect of Bmi1, HSC Dynamics, and Spinal Cord Injury Treatment! As current gene-editing strategies cannot reverse disease-associated structural chromosome abnormalities, researchers from the lab of Marianna Paulis (Italy and Humanitas Clinical and Research Center, Rozzano, Italy) devised a chromosomal transplantation (CT) approach as a means to replace an endogenous mutated chromosome with an exogenous normal one. Their recent STEM CELLS article establishes proof of principle for CT in induced pluripotent stem cells derived from a patient with chronic granulomatous disease. Encouragingly, Castelli et al. 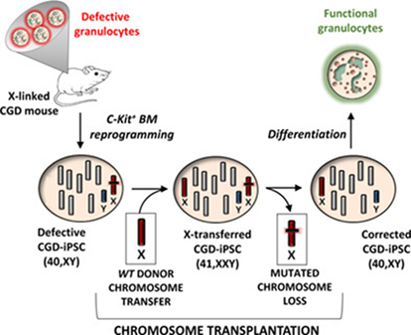 demonstrated that X‐chromosome transplanted corrected cells restored the normal function to differentiated cells in what represents an important step towards the application of this kind of genomic therapy in selected patients. The lab of Dengshun Miao (Nanjing Medical University, Nanjing, China) previously reported that Bmi1 deficiency promoted osteoporosis by inhibiting the proliferation and osteogenic differentiation of bone marrow mesenchymal stem cells (MSCs). 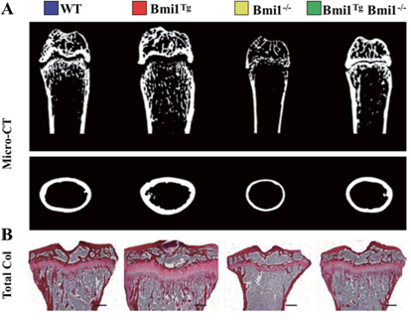 They now return with a new STEM CELLS paper to understand whether MSCs overexpressing Bmi1 stimulate skeletal development and rescue Bmi1 deficiency‐induced osteoporosis. Chen et al. 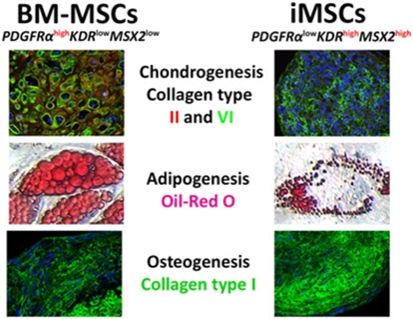 established that MSCs overexpressing Bmi1 exert an anti‐aging and anti‐osteoporosis effect in a study that may provide a means to enhance the functionality of MSCs for therapeutic applications. 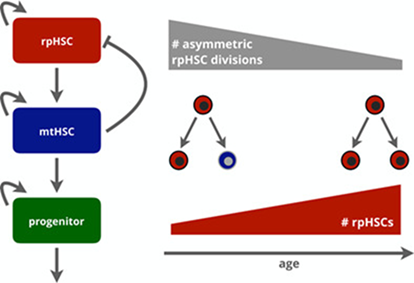 Researchers from the lab of Ingmar Glauche (Technische Universität Dresden, Germany) sought to understand the effect of normal aging on hematopoiesis through a novel in‐silico model to investigate the dynamics of hematopoietic stem cell (HSC) response to varying demand. In their recent article, Klose et al. focused on the HSCs that can reconstitute the whole blood system after injury and by investigating cellular mechanisms that are altered upon aging, the authors reveal potential targets to be tackled for sustaining a healthy lifespan. For all the details on this intriguing study, head over to STEM CELLS. 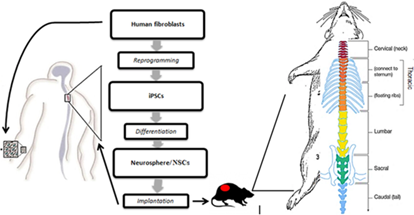 Researchers from the lab of Luis G. Villa‐Diaz (Oakland University, Rochester, Michigan, USA) recently undertook a review and meta‐analysis to evaluate the efficacy of applying induced pluripotent stem cells (iPSCs)‐derived neural cells to restore motor function in experimental animal models of traumatic spinal cord injuries. Ramatowski et al. also addressed current concerns with the use of iPSC‐derived neural cells and asked whether this provides similar results as treatment with cells derived from embryonic stem cells, which have already been successfully employed to treat injuries to the central nervous system. For a great read, head over to STEM CELLS Translational Medicine. March 28,2019 What’s the Stem Cells Buzz this Week? - Genomic Safe Harbors, Immune Reconstitution, Chemically Modified mRNA, and αEP4-Elicited MSC Extracellular Vesicles! 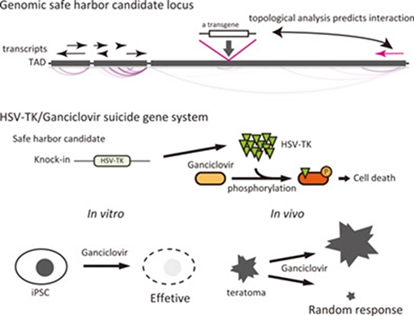 Suicide gene therapy represents a possible means to ensure the safety of induced pluripotent stem cell-derived cells and tissues following transplantation. To develop this approach further, researchers from the lab of Yasuyoshi Kimura (Johns Hopkins University, Baltimore, Maryland, USA) and Hideki Mochizuki (Osaka University, Osaka, Japan) studied several human genomic safe harbors (GSHs) for genome editing. The authors of this STEM CELLS Translational Medicine lists the features of human GSH candidates and presents topological and epigenetic analysis to facilitate prediction of the influence of genome editing. Prolonged T cell immunodeficiency following allogeneic transplantation represents a significant clinical problem that leads to a high rate of infectious complications and disease relapse. A recent review from the laboratory of Isabelle André (INSERM U1163, Paris, France) now discusses current strategies aimed at enhancing immune reconstitution post-hematopoietic stem cell transplantation. In particular, Simons et al. 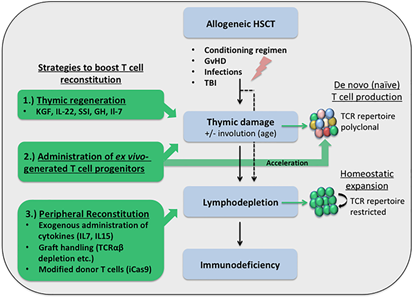 emphasize the importance of cellular therapies such as the injection of ex vivo generated T cell progenitors to accelerate immune reconstitution after transplantation, as this approach confers a polyclonal host repertoire without the risk of alloreactivity. For this and more, head over to STEM CELLS Translational Medicine. Chemically modified mRNA (cmRNA) offers novel approaches for nucleic acid therapy field due to lower immunogenicity, higher stability, and the lack of insertional mutagenesis. Furthermore, cmRNA strategies have successfully reprogrammed somatic cells to pluripotency. For these reasons, a recent article from the laboratory of Zohreh Sadat Badieyan and Todd Evans (Cornell University, New York, New York, USA) comprehensively compared a variety of studies employing cmRNAs for cell fate conversion and tissue engineering. The authors hope that this information will be useful for investigators searching for cmRNA‐based protocols for tissue engineering and will enhance future cmRNA-related investigations for regenerative medicine in a timely and efficient manner. For all the fine print, see STEM CELLS Translational Medicine. The limited regenerative capacity of the adult brain has led to the development of stem cell-based therapies for brain damage and neurodegenerative diseases. Recently, researchers from the laboratory of Hua‐Jung Li (National Health Research Institutes, Miaoli, Taiwan, China) sought to assess the potential of mesenchymal stem cells (MSCs)-derived extracellular vesicles (EVs) after prostaglandin E2/prostaglandin E2 receptor 4 (PGE2/EP4) signaling pathway antagonism. In this STEM CELLS Translational Medicine article, Chen et al. 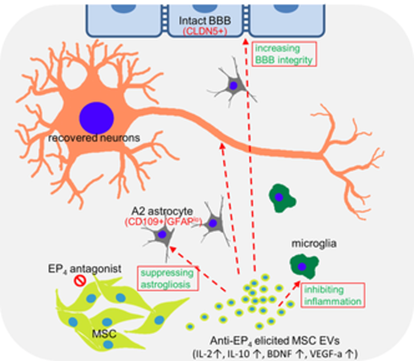 discovered that these EVs contained anti‐inflammatory cytokines and factors that modify astrocyte function, blood-brain barrier integrity, and microglial migration into the damaged hippocampus. Furthermore, following systemic administration in mice, of EP4 antagonist‐elicited MSC EVs repaired deficiencies of cognition, learning, and memory, inhibited reactive astrogliosis, attenuated inflammation, reduced microglial infiltration into damaged areas, and increased blood-brain barrier integrity. March 25,2019 What’s the Stem Cells Buzz this Week? - Megakaryocyte Production, Radiation-induced Fibrosis Treatment, Ocular Surface Reconstruction, and Oncolytic Viruses! Challenges related to storage and fluctuating supply have limited donor‐based platelet transfusions for patients suffering from acute or sustained thrombocytopenia. Researchers led by Andres F. Martinez and William M. Miller (Northwestern University, Evanston, Illinois, USA) hoped to develop cell‐culture technologies that will enable ex vivo and donor‐independent platelet production at a scalable and therapeutically relevant level. Now, the team's new STEM CELLS Translational Medicine article reports the development of a gas‐permeable culture surface with fed‐batch media dilution schemes for the generation of megakaryocytes (platelet-generating cells) from blood stem and progenitor cells that increased expansion of megakaryocytes progenitors and enhanced megakaryocytes production compared to traditional techniques. Radiation therapy for the treatment of cancers to the head and neck, chest wall, and extremities can lead to the development of radiation-induced fibrosis (RIF), a disorder which currently lacks treatment options. Now, researchers led by Peter J. Rubin (University of Pittsburgh, Pittsburgh, PA, USA). Ejaz et al. have studied disease development in detail in a mouse model of RIF and demonstrated how treatment with adipose-derived mesenchymal stem cell (ASCs) improves limb movement and skin epithelium architecture post-irradiation with a critical role observed for the secretion of hepatocyte growth factor. For more details, see STEM CELLS now! Currently employed epithelial denudation protocols limit the application of human amniotic membrane (HAM) as a growth substrate for conjunctival cells for ocular surface reconstruction due to the elevated costs and times required, as well as the potential for the structural compromise. Now, a new study from the laboratory of Jodhbir S. Mehta (Singapore Eye Research Institute) reports on a new approach: de‐epithelialization of HAM employing ice‐cold urea (uHAM). Bandeira et al. describe this method in a new STEM CELLS Translational Medicine study and highlights the translational potential of this efficient and inexpensive method to prepare de‐epithelialized HAM as a basement membrane scaffold for cell‐based tissue‐engineered treatments of ocular surface disorders. Cancer stem cells (CSCs) self‐renew and differentiate to generate heterogeneous cancer cell lineages in solid tumors and are associated with metastasis, tumor relapse, and resistance to anti‐cancer therapies. 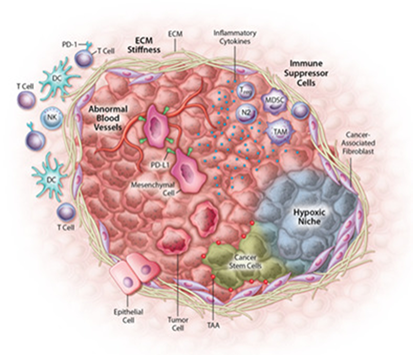 A recent review from the research group of Ragunath Singaravelu (University of Ottawa, Ontario, Canada) focused on the application of oncolytic viruses (OVs) to target CSCs and the OV‐driven production of interferon in the tumor microenvironment that can repress CSC properties. In particular, Crupi et al. highlight the advantages of virally‐encoded bi‐specific T cell engagers (BiTEs) to CSC target cell‐surface markers and tumor‐associated antigens on contributing components of the TME and other cancer cells and the crucial role of combination anti‐cancer treatments, evidenced by the synergy of OV‐delivered BiTEs and chimeric‐antigen receptor (CAR) T cell therapy. For a fascinating read, head over to STEM CELLS now! March 18,2019 What’s the Stem Cells Buzz this Week? - Stem Cell-Derived Exosomes, MSC Therapy for Knee Osteoarthritis, Long-term Starvation of MSCs, and Cartilage Endplate Degeneration! As previous studies discovered that extracellular vesicles (EVs) secreted by human mesenchymal stem cells (MSCs) play roles in tissue repair and regeneration, researchers led by Linzhao Cheng and Vasiliki Mahairaki (Johns Hopkins University School of Medicine, Baltimore, USA) examined EVS derived from human induced pluripotent stem cells (iPSCs) cultured in chemically defined medium free of any exogenous EVs. Interestingly, Liu et al. 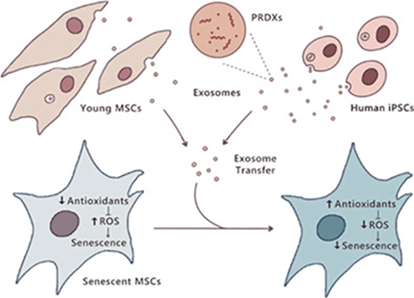 discovered that iPSCs generated more EVs than MSCs and that purified iPSC-EVS could reduce cellular reactive oxygen species levels and alleviate the aging phenotypes of senescent MSCs. For more on how iPSC-EVs may be employed to reverse the aging process, see STEM CELLS now! A new article from the lab of Kang‐Il Kim (Kyung Hee University Hospital at Gangdong, Seoul, South Korea) reports the findings from a prospective double‐blinded, randomized controlled, phase IIb clinical trial of an intra‐articular injection of autologous adipose‐derived mesenchymal stem cells (AD‐MSCs) for knee osteoarthritis. Encouragingly, Lee et al. report satisfactory functional improvement and pain relief for patients with knee osteoarthritis without causing apparent adverse events at six months' follow‐up. The authors now hope to organize trials with larger sample size and long‐term follow‐up. See STEM CELLS Translational Medicine now for all the details. As mesenchymal stem cells (MSCs) face a microenvironment characterized by nutrient deprivation and reduced oxygen tension following transplantation, researchers from the lab of Federico Ferro (National University of Ireland Galway, Galway, Ireland) sought to understand the survival/adaptive response mechanism that MSCs use. 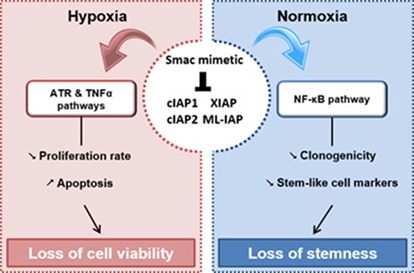 The authors studied long-term survival of bone marrow MSCs cultured in a chemically defined medium either in hypoxic or normoxic conditions. This survival mode involved a quiescent state, employed Jak/STAT anti‐apoptotic activity to select which cells conserved stemness and supported metabolic, bioenergetic, and scavenging requirements, and employed induced lipid β‐oxidation as an alternative energy source. 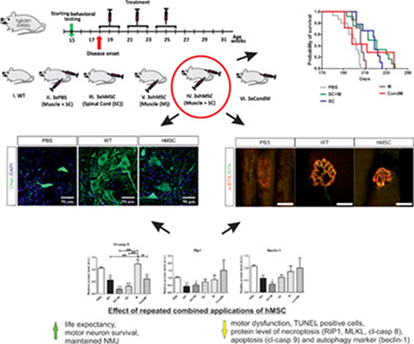 The authors of this new STEM CELLS article hope these findings will help to increase MSC survival when transplanted in vivo. 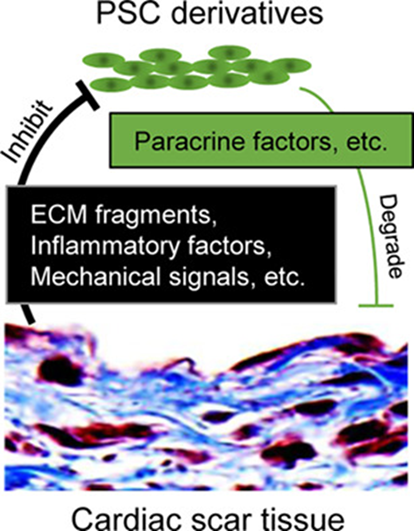 Cartilage endplate (CEP) calcification inhibits the transport of metabolites and nutrients in the intervertebral disc and is a critical initiating factor of intervertebral disc degeneration (IDD). 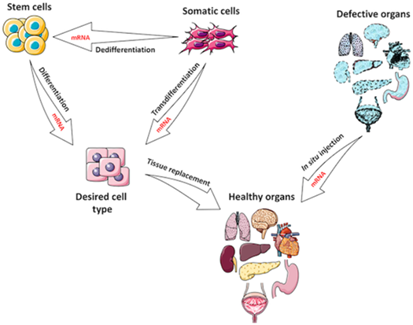 To discover the mechanisms controlling IDD, researchers from the labs of Yue Zhou, Liu Minghan, and Zhang Chao (Army Military Medical University, Chongqing, PR China)established a mouse CEP degeneration model. Rui et al. now report that rapamycin activated autophagy could protect CEP from inflammation-induced degeneration, promote the expression of antioxidant proteins, reduce cell senescence, and maintain the differentiation potential of cartilage endplate stem cells (CESCs). Finally, the authors note the general importance of Nrf2/Keap1 signaling to this effect. For more on this exciting new study, head over to STEM CELLS now! March 11,2019 What’s the Stem Cells Buzz this Week? – Treating ALS with MSCs, Transdifferentiation with MIWI2, Exosomes from T1D BM-MSCs, and Esophageal Anastomotic Leakage Therapy! 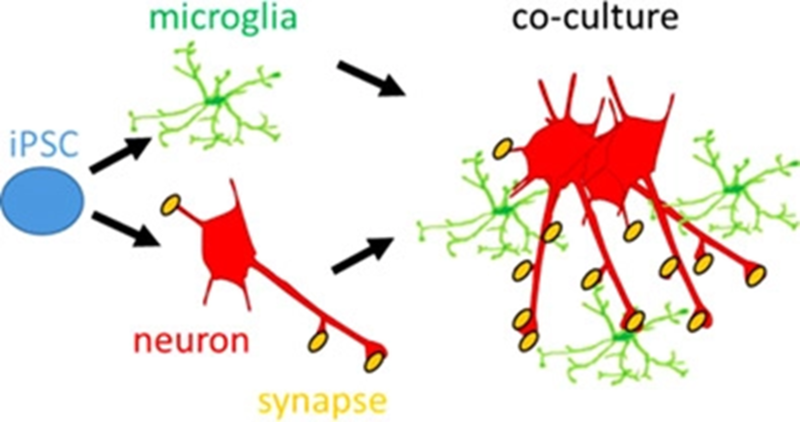 A recent study from Pavla Jendelova (Czech Academy of Science/Charles University, Prague, Czech Republic) sought to discover how human mesenchymal stem cell (hMSC) therapy functions when applied as a treatment for amyotrophic lateral sclerosis (ALS). Using a SOD1 rat model, Řehořová et al. demonstrated how repeated intrathecal and intramuscular application of hMSCs extended life span and protected motor neurons and neuromuscular junctions through the inhibition of the apoptosis, autophagy, and, importantly, necroptosis cell death pathways. For all the details, head over to STEM CELLS Translational Medicine now! In a recent attempt to delineate roles for PIWI proteins in somatic cells and in cancer development, researchers from the lab of Guang Yang (ShanghaiTech University, China) recently uncovered a role for the MIWI2 in cell plasticity. Shi et al. 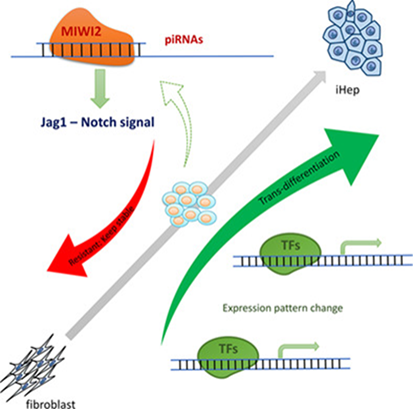 report that MIWI2 aids the trans‐differentiation of fibroblasts into hepatocyte‐like cells and describe how piRNA biogenesis responds to cell fate conversion, consistent with the proposed mechanism of piRNA acting as an “immune system” in the cell. Discover more about this fascinating study at STEM CELLS! Tissue regeneration using stem cell-derived exosomes represents a growing and potentially exciting field and recently, researchers from the labs of Yimin Chai and Jia Xu (Shanghai Jiao Tong University, PR China) sought to compare the bone regenerative capacity of bone marrow mesenchymal stem cell (BM-MSC)-derived exosomes from healthy and type 1 diabetes (T1D) rats. Interestingly, Zhu et al. 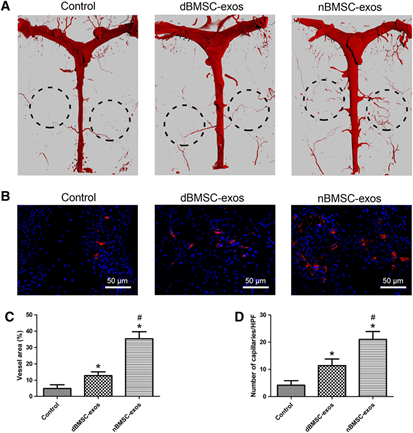 now report that T1D impairs the ability of BM-MSC exosomes to regenerate bone in a study with significant relevance to future clinical translation. For more, see the original article at STEM CELLS Translational Medicine and the associated press release at the Stem Cells Portal. 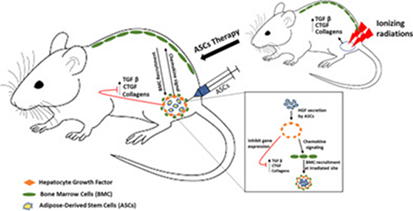 As currently available therapies remain unsatisfactory, researchers from the lab of Hao Zhang (Second Military Medical University, Shanghai, PR China) recently sought to harness the healing effects of mesenchymal stem cells (MSCs) as a treatment for esophageal anastomotic leakage, a devastating complication following esophageal resection. In their STEM CELLS Translational Medicine study, Xue et al. now report that the transplantation of MSCs within a fibrin scaffold suppressed inflammation, promoted higher closure rate, and reduced the infection rate in a rabbit model. Great news! March 4,2019 What’s the Stem Cells Buzz this Week? 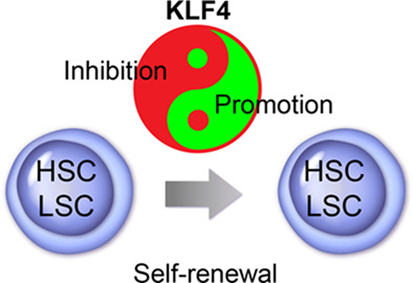 - KLF4-mediated Self-renewal, iPSC-derived Neutrophils, Modelling with iPSC Microglia, and Mouse ESC Proliferation! February 28,2019 What’s the Stem Cells Buzz this Week? - MSC Homing, iPSC-MSC Misidentification, Attenuating T1D Bone Loss, and Coordinated Tissue Repair! 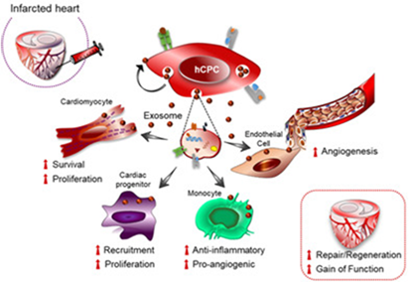 A team of researchers from Fudan University, Shanghai (China) recently sought to improve mesenchymal stem cell (MSC) homing to the injured myocardium to improve therapeutic outcomes. To this end, the authors modified MSCs with a homing peptide (cysteine-arginine-glutamic acid-lysine-alanine - CREKA) that targets fibrin, which is involved in the repair process of tissue injury. 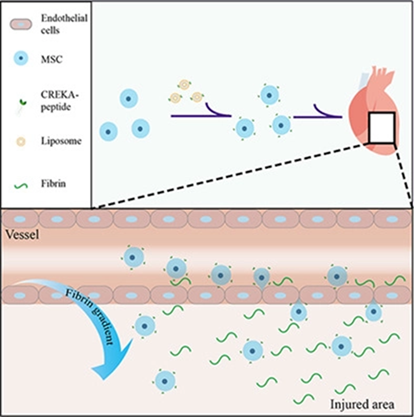 Overall, this STEM CELLS article establishes their CREKA-associated approach as an efficient means to enhance homing in vitro and in vivo, highlighting the utility of active fibrin targeting in cardiac cellular therapy. Previous comparisons between bone marrow‐derived mesenchymal stem cells (BM-MSCs) and induced pluripotent stem cell (iPSC)-derived MSCs have revealed variances in trilineage differentiation potential, even though marker expression profiles display broad similarities. In a recent STEM CELLS article, researchers from the lab of Frank Barry (National University of Ireland Galway, Ireland) set out to reveal the cellular basis underlying these differences. Interestingly, Xu et al. established that while iPSC-MSCs share phenotypic traits with BM‐MSCs in terms of standard cell surface marker expression profiles, they exhibit markedly different gene expression profiles, especially in genes associated with vascular progenitor cell function. Patients with type 1 diabetes (T1D) often suffer from bone loss and increased risk of bone fracture, although the connecting mechanism linking hyperglycemia and bone remains unknown. 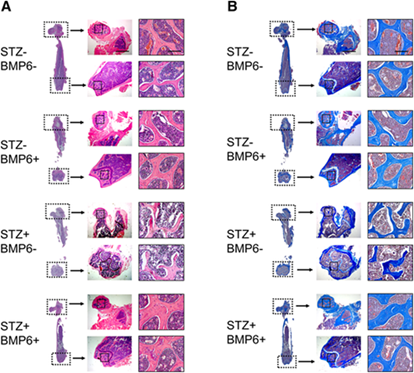 Now, researchers from the lab of Wan‐Ju Li (University of Wisconsin‐Madison, USA) report that bone marrow‐derived mesenchymal stem cells (BM-MSCs) from streptozotocin‐induced diabetic mice display lower levels of bone morphogenetic protein‐6 (BMP6) and reduced osteogenic potential. However, Wang et al. also established that intraperitoneal injection of BMP6 mitigated bone loss and increased bone mineral density in diabetic mice. For all the details, see STEM CELLS Translational Medicine now! Researchers from the labs of Benjamin Levi and Yuji Mishina (University of Michigan, Ann Arbor, Michigan, USA) recently employed a model of musculoskeletal injury to demonstrate that loss of TGF‐β activated kinase 1 (TAK1) signaling reduces inappropriate tissue formation (heterotopic ossification) through reduced cellular differentiation. Employing a mouse model, Hsieh et al. 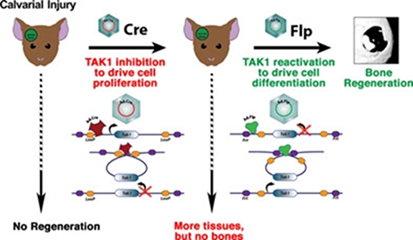 then inactivated and reactivated the Tak1 gene, revealing that this can improve bony healing through the coordination of increased proliferation followed by differentiation. This approach elucidates a new paradigm in regenerative medicine in which coordination between treatment and withdrawal of treatment can augment healing. For all the juicy details, make your way to STEM CELLS now!